is a spouse of a deceased member of the society. If you are eligible for membership, you can apply for enrollment online or by mail. To apply for membership by mail, download and complete the form: Membership Information/Enrollment Form and send it with your payment of dues to the address given below. After receipt of your application and verification of eligibility you will be enrolled as a member of the Society and notified. 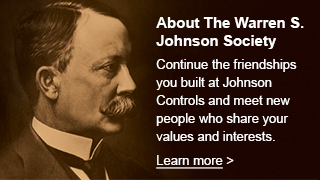 At the time of notification you will be able to register and login to WSJSociety.com/Members Only using the Member Login button on the Home page. It will allow you to register on the website and set up your username and password for future access to WSJSociety.com. To get immediate access to WSJSociety.com/Members only, use the online application provided at the link below. The online process checks the information you provide with our records of eligible candidates. With verification of information, and response to a confirming email, you will be enrolled as a member and registered on the site with the username and password you selected in completing the form. You will then be able to login using the Members Login. We must receive your dues payment as described below within 90 days to maintain your access. Should your application be denied, please submit a request for Help (available on the top blue bar on the Home page). The issue may be with our records. We will do the research and contact you via email. Use the Help topic, Membership Questions to highlight the reason for your request. Submit $50 USD for a Lifetime membership.